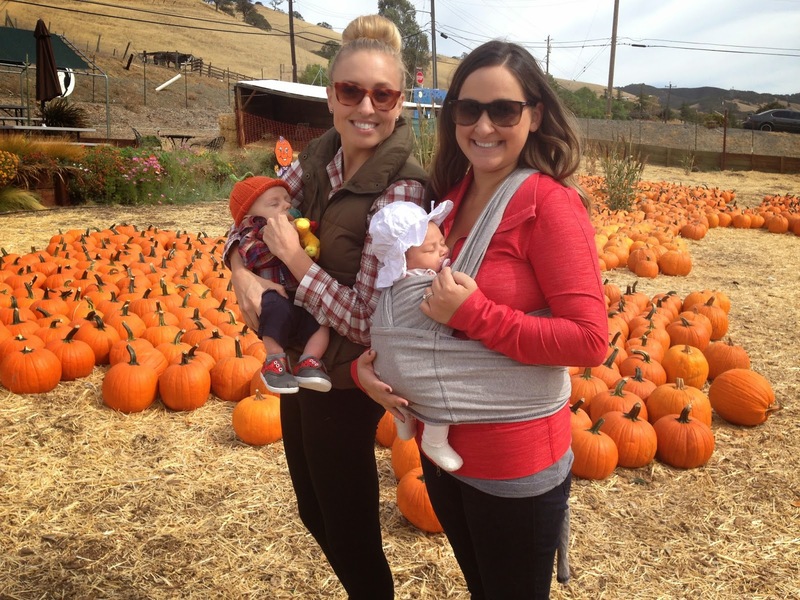 I took Presley to the Clayton Valley Pumpkin Patch last week with my mom while David was at work. We met up with Presley's boyfriend, Thomas, and decided to sleep through the whole adventure. Needless to say, we will be back with dad and hopefully a little more alert! We have to go back...we didn't even come home with a pumpkin! Love love love your sweet pictures! The pictures of her sleeping in the pumpkins are so adorable! Her and her little boyfriend Thomas, I'm sure they'll have a lot more adventures to be awake for in the future! These pictures are too cute, especially the last one! Oh my gosh - I can't believe she slept through the whole thing!! That is so sweet!! Ha, I love that she slept through the whole thing! How adorable is she?! These pictures are just too precious for words! And you are so lucky to have a friend with a babe the same age as Presley! Love the pumpkin patch, I really do need to take my niece and nephew, so many good childhood memories. Hahaha! Look at the tiny precious sleeping babies! They are so cute! That last photo is perfection. :) That needs to be framed. How cute are those two!! OMG! they are both just so precious and adorable! Oh my gosh!! Lol! I love how they both are literally sleep through the whole thing! Too funny!! Oh my goodness, those pictures of her sleeping in the pumpkin are the sweetest!! Thank you for my daily dose of baby cuteness!